Primarily in forests and villages, conventional wooden benches are a common phenomenon. Crafted from untreated tree trunks, every one of them is handmade and unique. 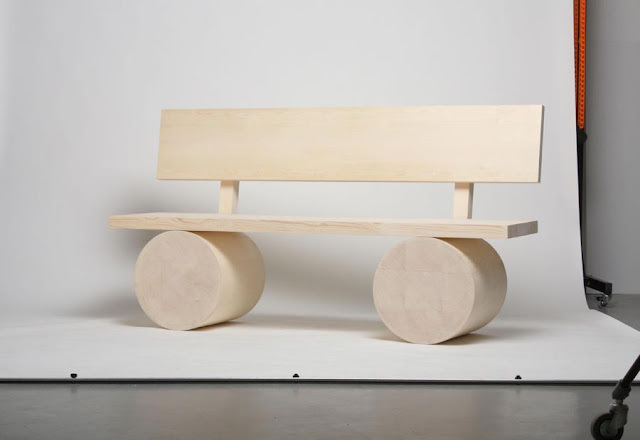 Inspired by the honesty and simplicity of this man-made object, this is a bench that in terms of appearance, shape and materials retains the fundamental qualities of the traditional wooden bench. An optimized, standardized processing technique reinterprets the wooden bench and gives it access to the urban environment.